Facebook expanded its video livestreaming feature to more users by making it available to US Android users. 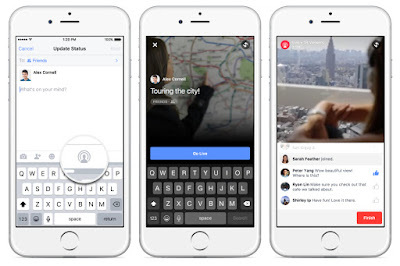 Livestreaming allows users to start live video broadcasts from withing the Facebook mobile app. The feature competes with Twitter's Periscope app. Facebook Live already had been available to US iOS users. In addition, Facebook expanded the iOS feature to more than 30 countries. To use the new feature on the iOS or Android mobile app, be sure to have the latest version of the Facebook app. Then tap the status update icon and then tap the Live Video icon. Lights! Camera! Action! You'll broadcast live to your Facebook connections.